POINT PLEASANT — Highmark Blue Cross Blue Shield West Virginia has recognized Pleasant Valley Hospital (PVH) with a Blue Distinction® Center for Maternity Care designation as part of the Blue Distinction Specialty Care program. Blue Distinction Centers are nationally recognized hospitals that show expertise in providing advanced patient safety and better health outcomes based on objective measures that were developed with input from the medical community. Hospital’s Maternity Care program exceeds the criteria set for this quality measure in both vaginal and cesarean delivery. “PVH is honored to be recognized by Highmark BCBS West Virginia for meeting the rigorous Blue Distinction Center quality selection criteria for maternity care. Providing high quality patient care is top priority to all of us at PVH. Whether a mom is expecting her first baby or her fifth, our obstetric care experts work with growing families to understand pregnancy and support them with advanced care tailored to meet the needs of each mother and baby. 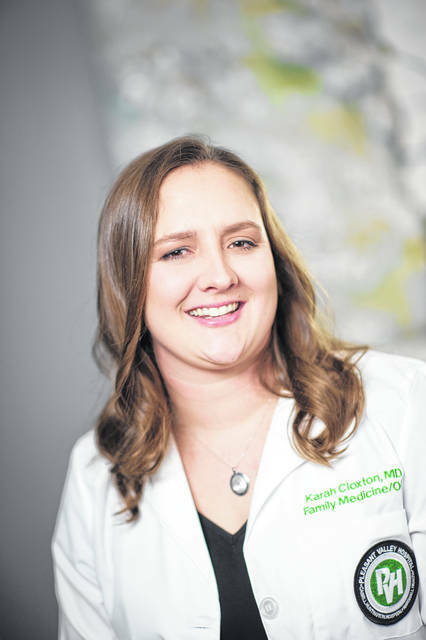 We welcome families to a warm, supportive, family-centered environment staffed by obstetrics experts including physicians Fri Mofor-Eta, MD, FACOG, gynecology/obstetrics, and Karah Cloxton, MD, family medicine, obstetrics, and their highly-trained nursing, technical and support staffs. 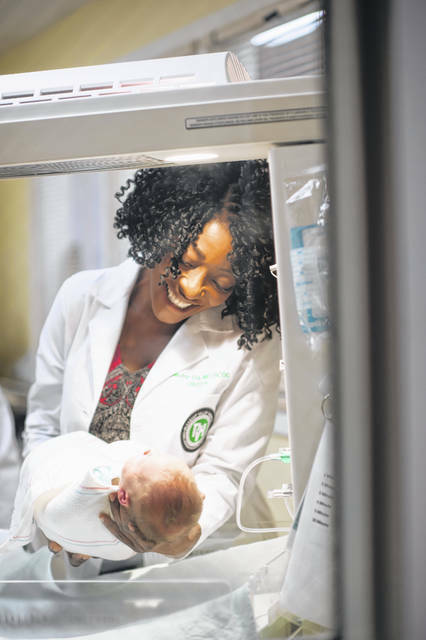 They are dedicated to patient safety and excellent health outcomes for both mother and baby,” stated Glen Washington, FACHE, CEO. “The Blue Distinction program gives Highmark Blue Cross Blue Shield West Virginia members the ability to choose their Providers based upon reliable quality and safety information. It also provides a pathway for exceptional Providers to demonstrate their value, and delivers the kind of transparency necessary for members to make informed value-driven healthcare decisions. We congratulate our Blue Distinction Specialty Care Providers on their accomplishment and thank our members for choosing Highmark BCBS West Virginia”, said Dr. Charles DeShazer, Vice President and Executive Medical Director, Clinical Services, Medical Policy & Quality. Blue Cross and Blue Shield (BCBS) companies across the nation have recognized more than 1,000 hospitals as Blue Distinction Centers for Maternity Care. Hospitals recognized with this designation are assessed using a combination of quality information supplied by hospitals and cost measures derived from BCBS companies’ medical claims. Since 2006, the Blue Distinction Specialty Care program has helped patients find quality specialty care in the areas of bariatric surgery, cancer care, cardiac care, maternity care, knee and hip replacements, spine surgery and transplants, while encouraging health care professionals to improve the care they deliver. Research shows that, compared to other hospitals, those designated as Blue Distinction Centers demonstrate better quality and improved outcomes for patients. Information provided by Pleasant Valley Hospital.